Jace Clayton writes and performs music under his own name and as DJ /rupture. Clayton gravitates towards forms which present alternatives to the Romantic Author: folksong and algorithmic/data sonification, new media hybridity and black and Arab improvisation traditions — and of course DJing. His DJ work began with 2001’s influential mixtape Gold Teeth Thief. In recent years he has composed original scores for Bang On A Can All-Stars and Saul Williams and the Mivos Quartet. Clayton places a strong emphasis on working globally (often outside of the traditional gallery or tour circuits), cross-cultural collaboration, and a Do-It-Yourself ethic. He has a duo project with guitarist Andy Moor (The Ex), and has collaborated with singer Norah Jones, Oscar-nominated filmmaker Joshua Oppenheimer, and The Barcelona Symphony Orchestra. Clayton was on the curatorial committee for the Museum of Modern Art PS1’s Warm Up concert series in 2016, and served as music director for the documentary film From Deep. From 2008-2013 he hosted a radio show on award-winning independent station WFMU. Clayton’s extensive discography contains over 30 releases, comprising albums, DJ mixes, curated compilations, EPs, singles, and remixes. 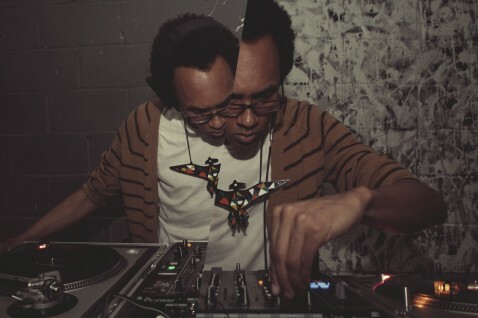 You can stream & download over 9 hours of DJ /rupture mixes, and stream the archives of his radio show.